Lighting @ Baseline Landscapes LLC. 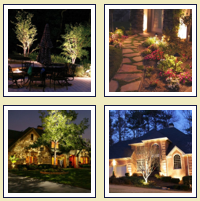 Baseline Landscapes is an expert installer Landscape Lighting to make your landscape a beautiful showpiece even at night. We use the latest technology and equipment to provide you with the best look and feel to fit your wishes. We, also, ensure that the installation is truly the best solution for you, with the best blend of function and pricing to meet your desired budget. Please see out Project Gallery for some Lighting examples in the Irrigation & Lighting Gallery.